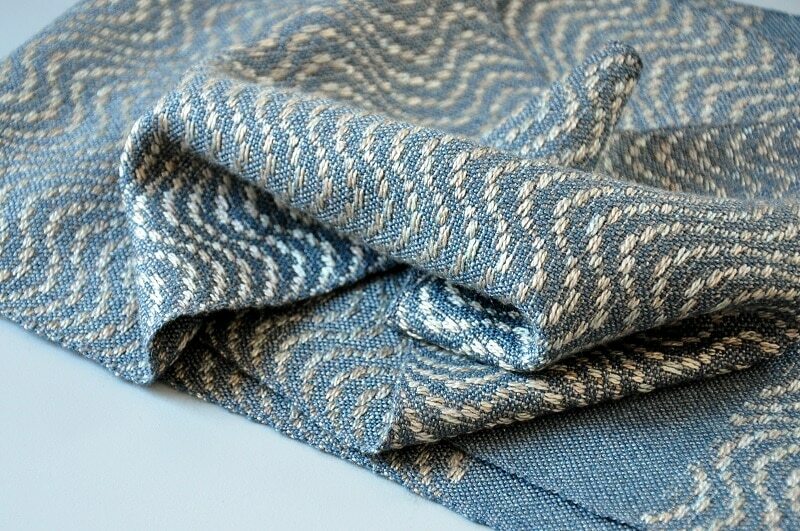 A series inspired by Shetland seascape and dramatic coastal scenery. 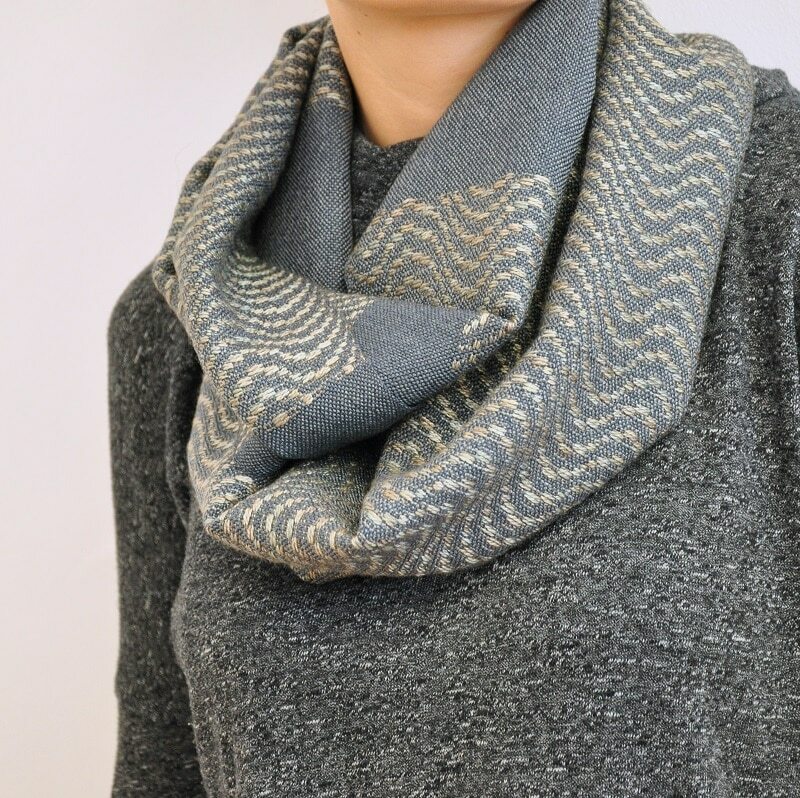 Luxurious lightweight blend of fine wool (50%) and silk (50%), hence the cowl reflects the light beautifully. 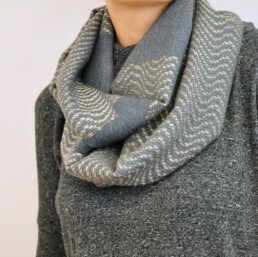 This cowl can be worn as a single or double loop. Both sides have an identical pattern. Wave pattern in pale grey colour with a subtle hint of pale green, contrasting with petrol blue background. 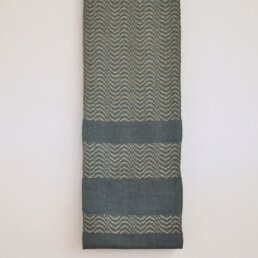 Dimensions: length 155 cm, width 25 cm. 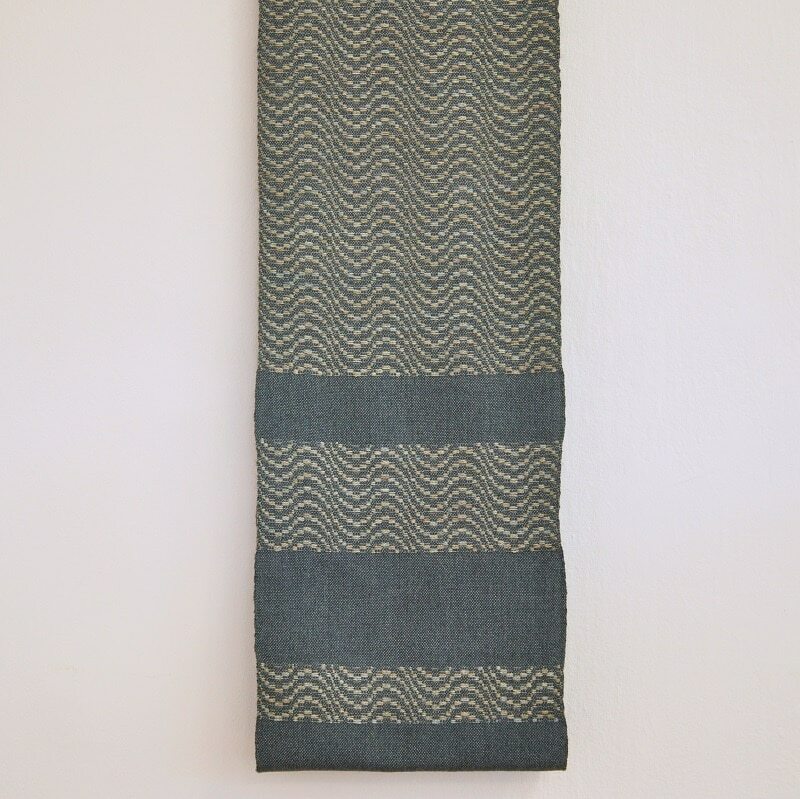 Slight variations in the width of this fabric (ca. o,5 cm) are caused by using two different weave structures and should not be considered as flaws. Every item is gift-wrapped and sent via Polish Post as tracked and signed priority mail.